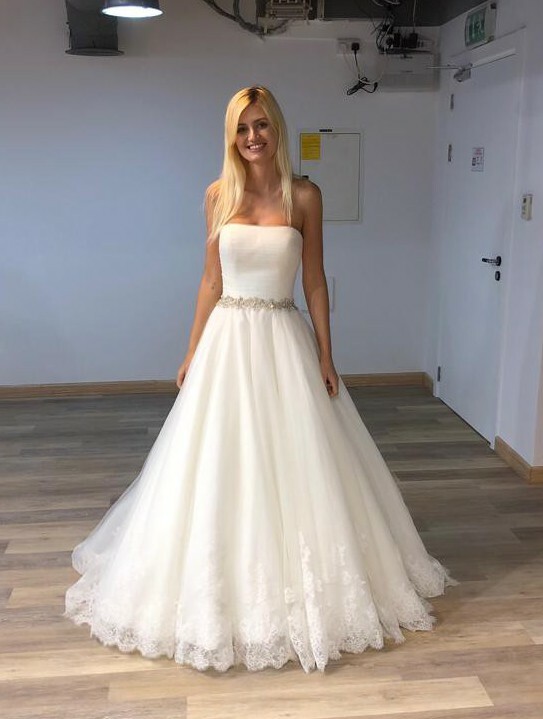 I felt like a princess in this dress on my wedding day because of the beautiful princess-style and design. The dress is very classy yet very feminine. It accentuates your waist with a beautiful corset as well as a crystal band around your waist and it falls into a wonderful big gown. My wedding was at a castle and this dress was just perfect for the location. I am only giving it away as I want you to feel special and like a princess on your wedding day, too. The dress is in perfect condition. It was worn only once and professionally dry cleaned. I am offering the circle skirt that is required underneath the dress to give it a full gown effect for free. Once you send a message, Anda can invite you to purchase the dress.